Thanks to a breakthrough surgical technology, there is a new category of minimally invasive surgery for which you may be a candidate. It is an effective, minimally invasive alternative to both open surgery and laparoscopy. Through the use of the da Vinci Surgical System, surgeons are now able to offer a minimally invasive option for complex surgical procedures. Imagine major surgery performed through the smallest of incisions. Imagine having the benefits of a definitive treatment but with the potential for significantly less pain, a shorter hospital stay, faster return to normal daily activities – as well as the potential for better clinical outcomes.With the da Vinci Surgical System, surgeons and hospitals are re-writing accepted standards for surgical care. da Vinci is changing the experience of surgery. Learn more about the minimally invasive surgical applications that are today enabled by da Vinci in urology, gynecology,cardiothoracic and general surgery. For benign (non-cancerous) conditions like menorrhagia (heavy menstrual bleeding), non-surgical treatments like hormone therapy or minimally invasive ablative therapies may offer relief. For fibroids, uterine-preserving myomectomy – a surgical alternative to hysterectomy — may be an option. To learn more about da Vinci Hysterectomy or any other gynecologic surgery utilizing the da Vinci Surgical System, click here. 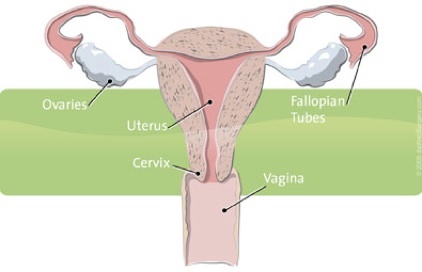 Uterine fibroids* are benign (non-cancerous) tumors occurring in at least one quarter of all women.1 They can grow underneath the uterine lining, inside the uterine wall, or outside the uterus. Each year, roughly 65,000 myomectomies are performed in the U.S.4 The conventional approach to myomectomy is open surgery, through a large abdominal incision.5 After cutting around and removing each uterine fibroid, the surgeon must carefully repair the uterine wall to minimize potential uterine bleeding, infection and scarring. Proper repair is also critical to reducing the risk of uterine rupture during future pregnancies. Menorrhagia is extensive menstrual bleeding. A new category of minimally invasive myomectomy, da Vinci® Myomectomy, combines the best of open and laparoscopic surgery. With the assistance of the da Vinci Surgical System – the latest evolution in robotics technology – surgeons may remove uterine fibroids through small incisions with unmatched precision and control. If you would like to explore whether you are a candidate for myomectomy, ask your doctor. 1.Newbold RR, DiAugustine RP, Risinger JI, Everitt JI, Walmer DK, Parrott EC, Dixon D. Advances in uterine leiomyoma research: conference overview, summary, and future research recommendations. Environ Health Perspect. 2000 Oct;108 Suppl 5:769-73. Review. 3.Becker ER, Spalding J, DuChane J, Horowitz IR. Inpatient surgical treatment patterns for patients with uterine fibroids in the United States, 1998-2002. J Natl Med Assoc. 2005 Oct;97(10):1336-42. 4.Lumsden MA.Embolization versus myomectomy versus hysterectomy: Which is best, when? Hum Reprod. 2002; 17:253-259. Review. 5.Becker ER, Spalding J, DuChane J, Horowitz IR. Inpatient surgical treatment patterns for patients with uterine fibroids in the United States, 1998-2002. J Natl Med Assoc. 2005 Oct;97(10):1336-42. 6.Kristen A. Wolanske, MD; Roy L. Gordon, MD. Uterine Artery Embolization: Where Does it Stand in the Management of Uterine Leiomyomas? Part 2. Appl Radiol 33(10):18-25, 2004. Medscape.10/27/2004. 7.Advincula AP, Song A, Burke W, Reynolds RK. Preliminary experience with robot-assisted laparoscopic myomectomy. J Am Assoc Gynecol Laparosc. 2004 Nov;11(4):511-8. If your doctor recommends hysterectomy, you may be a candidate for da Vinci Hysterectomy, one of the most effective, least invasive treatment options for a range of uterine conditions. 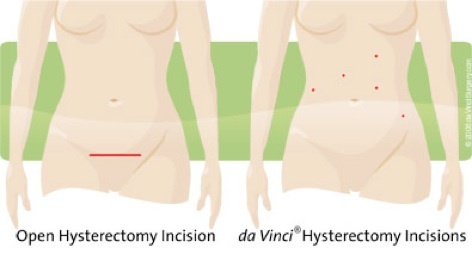 da Vinci Hysterectomy is performed using the da Vinci™ Surgical System, which enables surgeons to perform with unmatched precision and control – using only a few small incisions. If you are a candidate for hysterectomy, talk to a gynecologist or gynecologic oncologist (a cancer specialist) who performs da Vinci Hysterectomy. 2. UNC Department of Obstetric & Gynecology Health & Healing in the Triangle Vol 8 No 3 pp 22-23. The following selected publications support the clinical efficacy of da Vinci® Gynecologic Surgery. For additional citations on robotic surgery, please visit PubMed (Medline). 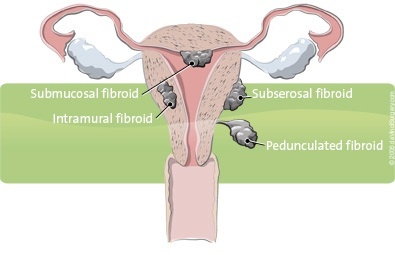 John F. Boggess, Paola A. Gehrig, Victoria Bae-Jump, Lisa Abaid, Aaron Shafer, Daniel Clarke-Pearson, Teresa L. Rutledge, John T. Soper, Linda Van Le, Wesley C. Fowler, Jr. Robotic Assistance Improves Minimally Invasive Surgery For Endometrial Cancer. Poster presented at SGO 2007. Department of Obstetrics and Gynecology, University of North Carolina at Chapel Hill. Senapati S, Advincula A. Surgical techniques: robot-assisted laparoscopic Myomectomy with the da Vinci® surgical system. J Robotic Surg. 2007 March; 1(1): 69-74. Abstract. Full text. Advincula AP. Surgical techniques: robot-assisted laparoscopic hysterectomy with the da Vinci surgical system. Int J Med Robot. 2006 Dec;2(4):305-11. Abstract. Advincula AP, Reynolds RK. The use of robot-assisted laparoscopic hysterectomy in the patient with a scarred or obliterated anterior cul-de-sac. JSLS. 2005 Jul-Sep;9(3):287-91. Abstract. Beste TM, Nelson KH, Daucher JA. Total laparoscopic hysterectomy utilizing a robotic surgical system. JSLS. 2005 Jan-Mar; 9(1): 13-15. Abstract. Marchal F, Rauch P, Vandromme J, Laurent I, Lobontiu A, Ahcel B, Verhaeghe JL, Meistelman C, Degueldre M, Villemot JP, Guillemin F. Telerobotic-assisted laparoscopic hysterectomy for benign and oncologic pathologies: initial clinical experience with 30 patients. Telerobotic-assisted laparoscopic hysterectomy for benign and oncologic pathologies: initial clinical experience with 30 patients. Surg Endosc. 2005 May 3 [Epub ahead of print] Abstract. Advincula AP, Falcone T. Laparoscopic robotic gynecologic surgery. Obstet Gynecol Clin North Am. 2004 Sep; 31(3): 599-609. Abstract. Ferguson JL, Beste TM, Nelson KH, Daucher JA. Making the transition from standard gynecologic laparoscopy to robotic laparoscopy. JSLS. 2004 Oct-Dec; 8(4): 326-328. Abstract. Diaz-Arrastia C, Jurnalov C, Gomez G, Townsend C Jr. Laparoscopic hysterectomy using a computer-enhanced surgical robot. Surg Endosc. 2002 Sep; 16(9): 1271-1273. Abstract. Falcone T, Steiner CP. Robotically assisted gynaecological surgery. Hum Fertil (Camb). 2002 May; 5(2): 72-74. Abstract. Boggess JF. 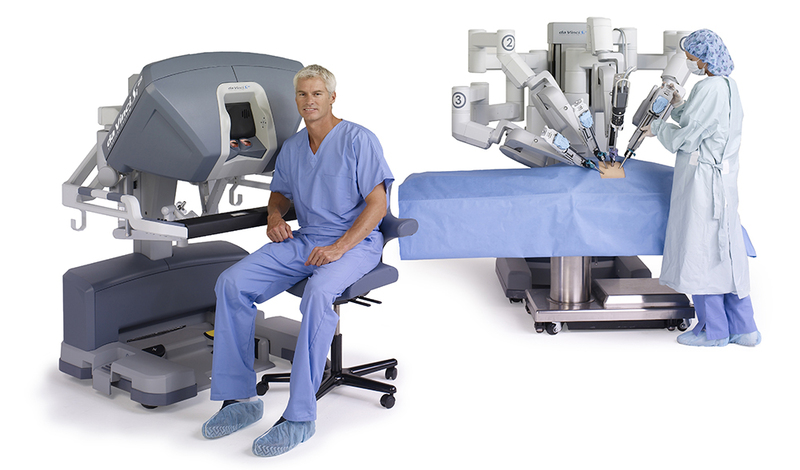 Robotic surgery in gynecologic oncology: evolution of a new surgical paradigm J Robotic Surg. 2007 March; 1(1): 69-74. Abstract. Full text. Aaron Shafer, John F. Boggess, Paola Gehrig, Victoria Bae-Jump, Lisa Abaid, Daniel Clarke-Pearson, Wesley C. Fowler Jr., Teresa L. Rutledge, John Soper, Linda Van Le. Type III radical hysterectomy for obese women with cervical carcinoma: Robotic versus open. Abstract presented at SGO 2007. University of North Carolina, Chapel Hill, NC. Lynn D. Kowalski, MD, Camille A. Falkner, MD, Stephanie A. Wishnev, MD Nevada Surgery and Cancer Care 1 Sunrise Hospital and Medical Center, Las Vegas, NV. Incorporation of Robotics into a Gynecologic Oncology Practice: The First 100 Cases. Poster presented at SGO 2007. Advincula AP, Song A, Burke W, Reynolds RK. Preliminary experience with robot-assisted laparoscopic myomectomy. J Am Assoc Gynecol Laparosc. 2004 Nov;11(4):511-8. Abstract. Bocca S, Stadtmauer L, Oehninger S. Uncomplicated full term pregnancy after da Vinci-assisted laparoscopic myomectomy. Reprod Biomed Online. 2007 Feb;14(2):246-9. Abstract. Dharia SP, Falcone T. Robotics in reproductive medicine. Fertil Steril. 2005 Jul;84(1):1-11. Review. Abstract. Di Marco DS, Chow GK, Gettman MT, Elliott DS. Robotic-assisted laparoscopic sacrocolpopexy for treatment of vaginal vault prolapse. Urology. 2004 Feb; 63(2): 373-376. Abstract. Elliott DS, Chow GK, Gettman M. Current status of robotics in female urology and gynecology. World J Urol. 2006 Jun;24(2):188-92. Epub 2006 Mar 24. Abstract. Elliott DS, Krambeck AE, Chow GK. Long-term results of robotic assisted laparoscopic sacrocolpopexy for the treatment of high grade vaginal vault prolapse. J Urol. 2006 Aug;176(2):655-9. Abstract.